The McIntosh apple was discovered by United Empire Loyalist John McIntosh when he spied a few wild apple-tree seedlings while he was clearing land near Morrisburg, in the St. Lawrence Valley south of Ottawa. The year was 1811. 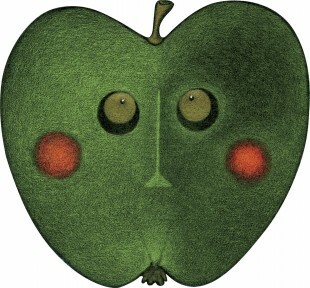 He transplanted the seedlings to his garden, but only one tree survived, producing its now famous Mac apple until 1908. The tree tipped over in 1910 after almost 100 years of service (as we all would). This bite of history is now more appropriate than ever, given that production of apple cider is on the rise along the St. Lawrence corridor. In Ontario hard cider (apple cider with alcohol) is a small industry struggling for consumer and regulatory recognition — still very much in the shadow of beer as a beverage of casual contentment. Few apple-only producers are active in Ontario, among over 30 producers of other types of fruit wines, and only two are listed at the LCBO. (A Prince Edward County neighbour is now dabbling in cider, as well, without commercial production yet.) However, the situation is much more robust in Quebec, where — perhaps inspired by the apple-based calvados industry in Normandy — there are more than 40 producers of hard cider, many also making gorgeous ice cider from frozen apples. Two Quebec companies in particular — Domaine Pinnacle and La Face Cachée de la Pomme — are putting Quebec ice cider on the world map, with exports to Europe and Asia. When you explore ciders, you will find many styles — from sparkling to bone-dry and from oak-aged to those flavoured with other fruits and spices. And let’s not forget the super-sweet dessert styles. But no matter how rendered, the core apple aromas (pun intended) must be pure and easily identifiable. And it’s even better if they transport you right into the orchard on a fall day. Some of these offerings are available at the LCBO. For others, you might want to take an autumn drive to the wineries or contact them directly to inquire about purchasing and shipping. This very light (2.8 percent alcohol) semi-sweet cider has exquisitely pure honeyed yellow-apple aromas, while tart acidity and piquant effervescence effortlessly balance the sweetness. It is a perfect autumn picnic or patio lunch wine to go with soft cheeses, terrines, and pâtés. LCBO 61671. This dry, sparkling hard cider is made in a historic orchard in Waupoos, centre of the County apple industry and once the summer home of Sir John A. Macdonald. Made from native Ontario- and European-bred cider-apple varieties, it is light (6.5 percent alcohol), crisp, and delicate, with a great sense of earthy autumn fresh-picked authenticity. Sold as a four-pack of 341-mL bottles. LCBO 612804. From a pristine orchard just metres from the U.S. border in Quebec’s Eastern Townships, Domaine Pinnacle is making a name for itself internationally, exporting Quebec’s frozen-apple nectar around the world. Brilliant gold amber colour, it is a thick, sweet apple and caramel potion with brilliant offsetting acidity. Awesome with apple pie and aged cheddar. 375 mL. LCBO 94094.